Dw. Dunphy On... Joe Satriani, Steve Scott, and "Altered Sweet"
Three great, very different recordings reviewed, and thoughts about why Americana is over (for me). 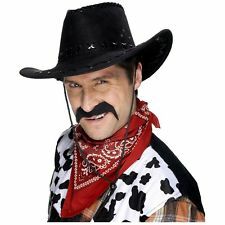 Hi folks; didja miss me? I don’t believe I’ve written a piece for Popdose since late-2017, although I have worked behind the scenes on a few of the posts published under the Popdose Staff title. A great big, warm “no prize” goes to the folks who can figure out which posts they were. Why the delay in jumping back in? You can say it’s been a process of reevaluation as well as a policy of restriction. In the second half of 2017, I started getting a lot of requests to review albums. I mean, a lot, and uniformly they emerged from the “Americana” genre, and furthermore, aside from the few I wrote about, the majority of them did not rise to the level – I felt – deserving of the real estate. That’s a really negative statement, more than a bit arrogant on first experience, and unfortunate but necessary. This mash-up subculture of rock, folk, and country has reached a tipping point not unlike that of the late 1990s when everyone was “alternative” and the returns were more than diminishing. As an artist myself, I am keenly aware of the difficulties of musicians to get coverage, and it certainly pains me to deny coverage of an artist based on the genre they have chosen to perform in. Nonetheless, for every sincere musician who chose to go acoustic and rural, no matter where they came from, from the mountains in the West to the canyons of New York City, there are now at least three acts who chose to do the same for cynical reasons. I tried to be polite about it and tell these artists that I wasn’t the right person to cover them at that moment. (I certainly wasn’t. Having had to deal with family medical issues and devote my attention to their ongoing care, I was not in the proper state of mind to tell former club kids that their new mandolin skills were subpar.) The flood of albums persisted. So I have to do something I really hate doing. Much as independent record labels now no longer accept unsolicited materials to review, I’m not accepting albums from Americana for review. I will still review things from the genre from time to time, but I will seek them out. I think my stance is fair. With my present impression of the scene being as negative as it is, as an artist, do you really want to take that shot? As a reviewer, it is my responsibility to be objective when I engage with the music I’m critiquing. I find it impossible to offer such objectivity with so much trend-chasing occurring within the style. Proceed at your own risk. Here’s an artist I thought I was done with, but has now scored two significant wins in a row: 2015’s Shockwave Supernova, and now What Happens Next. The man behind those albums, Joe Satriani, never stopped being a great guitar player, one of the finest of our times. Nonetheless, I wasn’t excited by those albums from the aughts. I’m prepared to say that it was less about Joe than it was about me. But with these two albums, and What Happens Next in specific, it feels like excitement is back. Whereas some albums seemed to either be fighting the legacy of Surfing With The Alien or actively trying to mimic it, this new record is much more confident, and stridently ballsy while still being modern. I’m going to give a fair amount of credit to producer Mike Fraser for this. Producers prior to this seemed to be too much in awe of Satriani the guitar player – and why not? – but that meant the guitar often overshadowed the composition opportunities. It was all about shred and gliss, but the song itself? More of a frame than a necessity. What Happens Next sounds to these ears like well-conceived melodies that, nonetheless, have virtuoso playing involved. I imagine Fraser having the right level of respect for the chops but also having a clear ear for the song as a whole, and the guts to step in when the balance was disrupted. Speaking of balance, what a power trio this album turns out to the public. Chad Smith gets to blast the drums in ways he seldom does with the Red Hot Chili Peppers, and bassist Glenn Hughes (of Deep Purple, Black Country Communion and, briefly, Black Sabbath) further asserts himself as a hard rock legend. 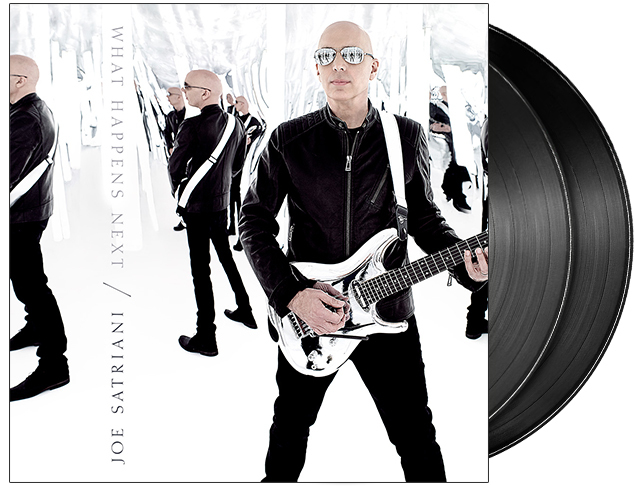 For those who let Joe Satriani go by the wayside in the previous decade, might I suggest that What Happens Next forcefully presents itself as an album to pick up once again? In a year that’s only begun, this one has the goods to be the rock album of 2018 by the end. Steve Scott was always an artist who followed his muse, and it almost always was his undoing. More a poet than a conventional pop star, he nonetheless recorded fantastic rock songs in the 1980s, mostly backed by the band The Seventy Sevens, sometimes recorded by the producer Charlie Peacock who would be recognized later on as the writer of Amy Grant’s “Every Heartbeat” and producer for The Civil Wars. Scott had a tense, powerful new wave sound that sat perfectly next to the nerviness of artists like Simple Minds and The Call. A big distribution deal between his label Exit Records and A&M Records didn’t pan out. Tracks appeared eventually on the compilations Magnificent Obsession and the rightly beloved Lost Horizon. Forsaking the pop sound that had forsaken him first, he released The Butterfly Effect in 1992, a hypnotic combination of spoken-word poetry and ambient synths. We Dreamt That We Were Strangers and Crossing The Boundaries followed after in the same vein. All these are artistic achievements for those who have minds open enough to accept them, but are still far too esoteric for those who just want to dance. 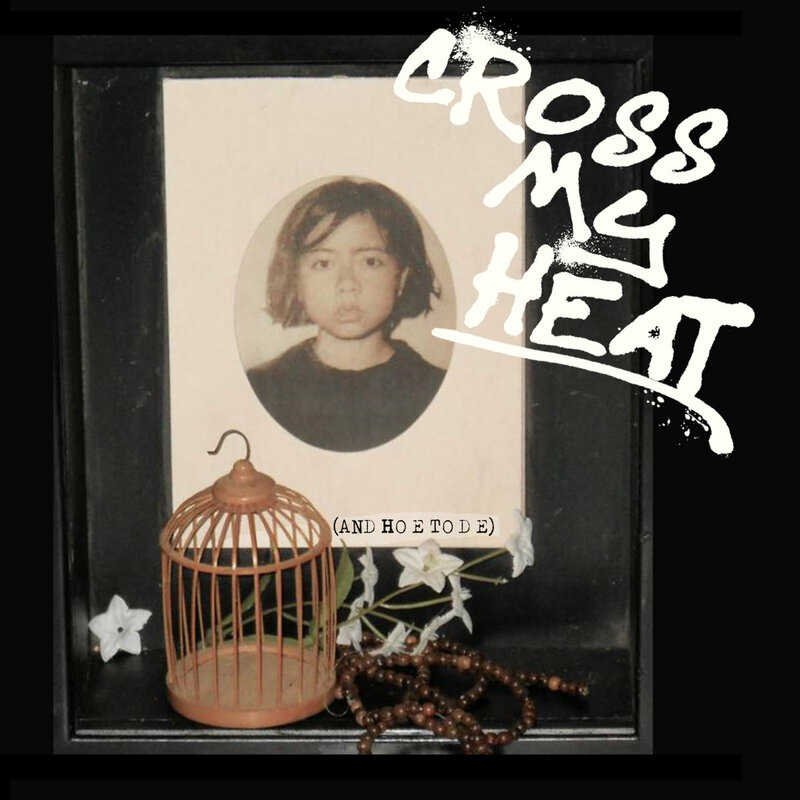 Nearly 20 years after his last release of new material, Scott returns with Cross My Heat (word exchange intended). It is, once again, Scott’s thoughtful poetry set above field recordings, found sounds, and creative muckery of his old pop past. All the old caveats apply, that his work might be too cerebral, too artsy for general consumption, but I want to push back against those easy dismissals. Even though the nine tracks on Cross My Heat are poems, Scott is a poet with something to say, often approaching his work as a field reporter with a gift for the language rather than a Saturday night open-mic slammer. My conundrum as a reviewer is that it is much harder to classify the recording enough to make it crystallize in your mind, much less entice you to give it a try. It has no beat. You can’t dance to it. But Scott’s voice, super-clear with his British accent still in play, is eminently listenable and never comes across as a sleep aid, as one might presume a poetry recording to be. Much as a good song will do something to you and for you, even if it does not make your body move, so too do Scott’s performances here. 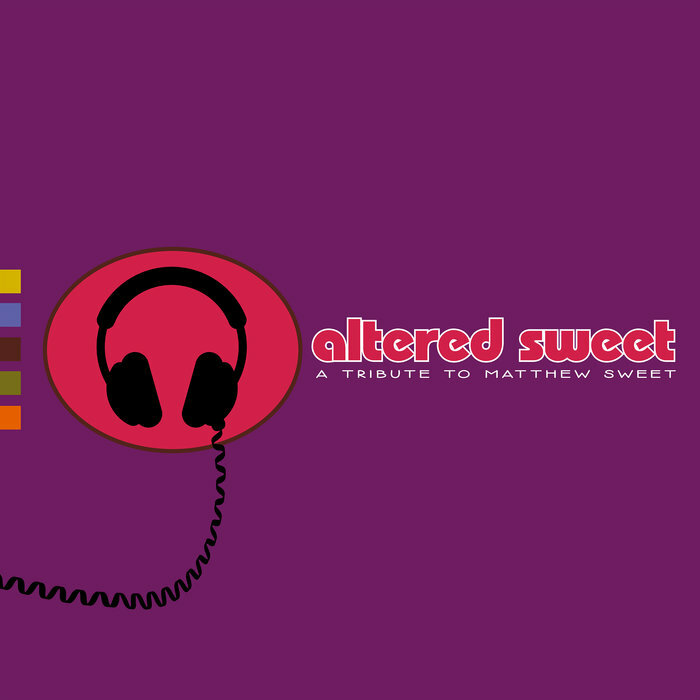 Altered Sweet, as shepherded by pop-rock aficionado Keith Klingensmith, is one of the more entertaining compilations to cross my transom in some time. A member of the band The Legal Matters as well as head of Futureman Records, Klingensmith knows people, specifically people who love the music of Matthew Sweet, and he knows how to get them on-board.